Why Did the Puerto Rico Sloth Go Extinct? Ground sloths and arboreal sloths, primates, insectivores and rodents once populated Puerto Rico and other large islands of the Greater Antilles (Cuba, Hispaniola and Jamaica). However, during the Pleistocene and Holocene eras, which include the present, more than 100 species of West Indian land mammals died out, suffering the most severe extinctions of any mammals in the world. 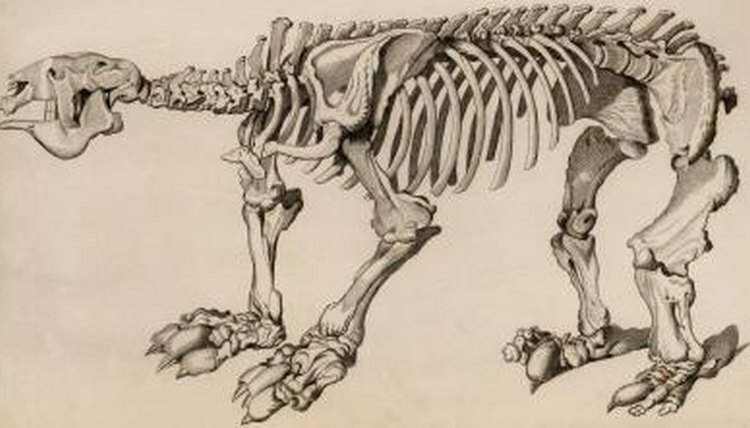 Determining why so many Caribbean mammals, including the Puerto Rican sloth (Acratocnus odontrigonus), became extinct, continues to be a difficult and controversial process. Millions of years ago, many types of ground sloths lived in South America, but only the megalonychid moved into North America. Some of these sloths were able to reach the Caribbean, as evidenced by the unearthing of their fossils by paleontologists in Cuba, Hispaniola and Puerto Rico. The Megalonychid sloths that once lived in Puerto Rico and other West Indian islands survived for millennia. Why or when these sloths who had survived for so long disappeared has long been a matter of speculation. Scientists have arrived at different conclusions and over the years have presented estimates ranging from 3,000 years ago to 10,000 years ago, hypothesizing when and why sloth extinctions occurred. The Puerto Rican sloth weighed approximately 30 pounds, according to the Ross D. E. MacPhee, chairman and curator of the Department of Mammology at the American Museum of Natural History. Claremont College biology professor Donald McFarlane estimates that the Puerto Rico sloth weighed between 50 and 100 pounds. Evidence of arboreal adaptations has led scientists to conclude the Puerto Rican sloth was a tree-dweller, not a true ground sloth, although occasional ground travel was not uncommon. Sloths are omnivores whose main diet of buds, tender shoots and leaves provides very little energy, resulting in maintaining a slow metabolic rate and low body temperature. Their slow movement makes sloths vulnerable to hunters and other predators. Puerto Rico’s ground sloth is thought to have disappeared completely about 1,000 years after humans arrived in the Caribbean island region, around 6,000 years ago. Some scientists believe their deaths came about because of a range of human activities, including hunting, the introduction of exotic species and habitat destruction. The Puerto Rican ground sloth was one of the last relatives of the extinct giant ground sloths of South America. The Puerto Rican sloth may have been driven to extinction as recently as the 16th century as a result of the introduction of rats and pigs by European explorers. Academic and scientific debate continues about whether or not humans actually hunted sloths. Sloth bones associated with evidence of human presence have been reported, but nothing indicates that the Puerto Rican sloths were hunted, according to the "Bestiary," an encyclopedia compiled by the American Museum of Natural History. People who are convinced that humans hunted Puerto Rican sloths believe that the animals' pace made them a source of food that was easy to capture. It would not have been possible for these slow-moving, ground-dwelling sloths to survive direct and ongoing predation by human hunters, especially as the island dwellers had never been exposed to human predators, according to researcher David W. Steadman of the Florida Museum of Natural History at the University of Florida. To understand when different species died out, scientists must identify the factors that precipitated their disappearance. Unfortunately, conventional methods have not successfully dated the extinction of Puerto Rican sloths, because the island's tropical conditions have degraded bone collagen in the unearthed subfossil material. Radiometric data calculated from findings at palaeontological sites suggest that Puerto Rico is the only island of the Great Antilles to have lost all of its native land mammals. Dr. Samuel Turvey, of London's Institute of Zoology, and his colleagues discovered that several species existed for thousands of years following the arrival of Amerindian people and that extinction dates for Puerto Rican mammals are similar to those of other Antillean Islands. What Impact Have Humans Had on Ring-Tailed Lemurs?